There are tons of benefits to buying a used Chevrolet vehicle—and a Chevy Malibu is no exception. The Chevrolet Malibu is a midsize sedan with many years of satisfaction to its name. Recent model-year Chevy Malibus offer a wide range of features for Mesa drivers to enjoy, including a powerful 4-cylinder engine, keyless entry and ignition, OnStar, and split-folding rear seats. Whether you’re searching for a comfortable or fuel-friendly sedan, you’re sure to find the perfect used Chevrolet Malibu for sale in our selection of 12 shown below. 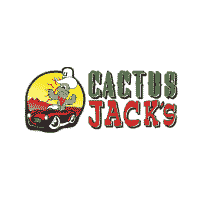 Why Buy a Used Chevrolet Malibu from Cactus Jack's Auto? If you see a used Chevrolet Malibu for sale above, and want to take it for a spin, contact us to schedule a test drive near Surprise and Glendale. Don’t forget to ask about our weekly specials!